Randy Williams first learned the roofing business during college while working for a roofing company in Oklahoma City. After graduating from Bethany College and marrying his wife Debby, Randy started Accent Roofing and Supply in 1980 to serve the Duncanville community and the surrounding area. 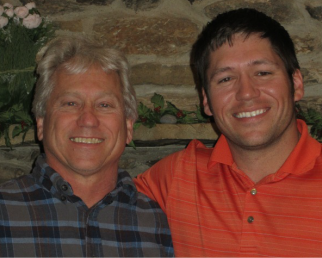 Randy continued to manage the business through 2009 when he turned the business over to his son Jesse. Today Accent Roofing is still serving the Dallas Fort Worth area under the direction of Randy's son Jesse Williams. Jesse graduated with a degree in business administration from Southern Nazarene University (formerly Bethany College) before going to work for his dad to learn the family business, and eventually taking over management of the company in January 2010.